"The Convergence of China's Foreign and Domestic Investment Regimes and China's Investment Treaty Commitments"
Abstract: The Ministry of Commerce of the People’s Republic of China has issued a Draft Foreign Investment Law that proposes to cause the convergence of the PRC’s foreign and domestic investment regimes. That convergence in its current form will result in existing rights of foreign investors being extinguished or compromised. We discuss the loss of such rights in the light of the types of investors’ remedies that are currently provided for under China’s Bilateral Investment Treaties. In doing so, we show how the issues raised by the newly proposed investment regime can be framed as claims under the various standards of PRC treaty protection and the particular complexities that arise for consideration. 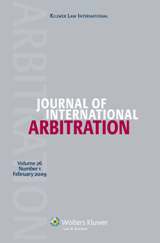 This article is an assessment of the propensity and prospect of future arbitration claims concerning a complex draft law that, whether legislated in its current or in an amended form, will have significant commercial and economic implications. This matter is probably the single most important issue today in China corporate practice and we believe it has a strong investment law and arbitration dimension that demands to be explored and explained. Click here to view the article.